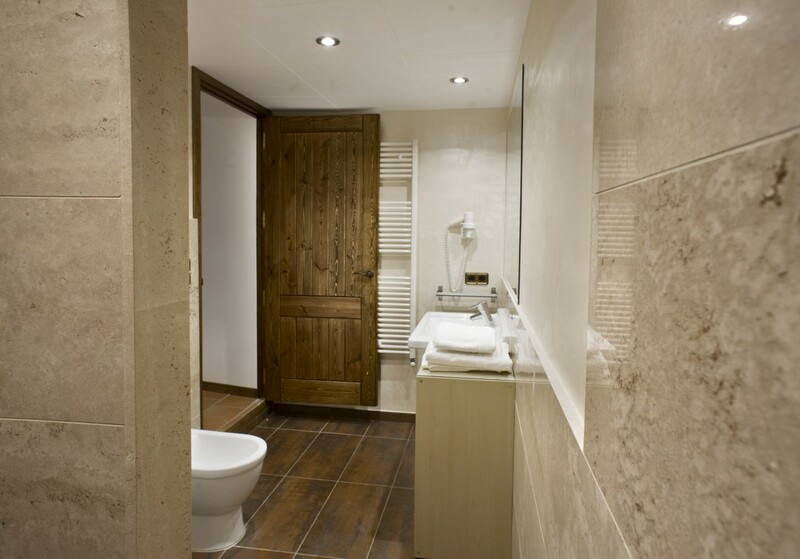 This room takes its name from the vineyards that, along with the botanical garden and the wine cellar, the Celler Mas Patiràs, make up the property. 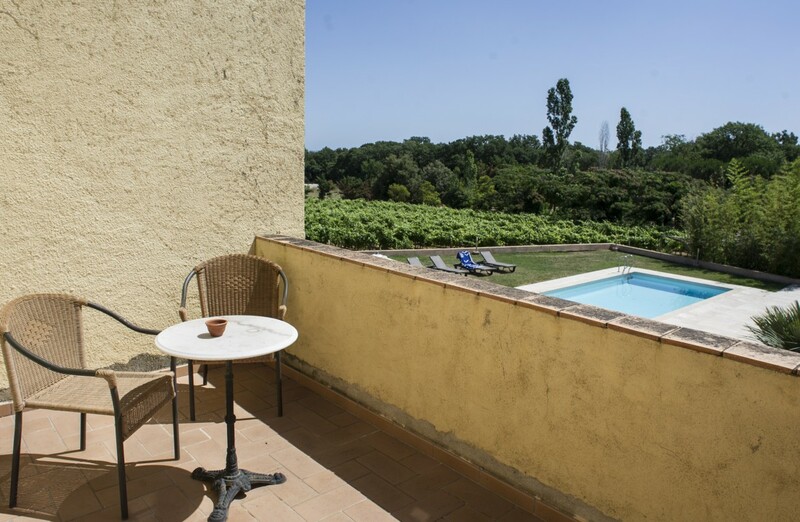 Located on the first floor of the farmhouse, it has an area of about 30 square meters divided between the bedroom, bathroom and dressing-room, which leads to a large terrace overlooking the pool, garden, vineyards and environment natural. 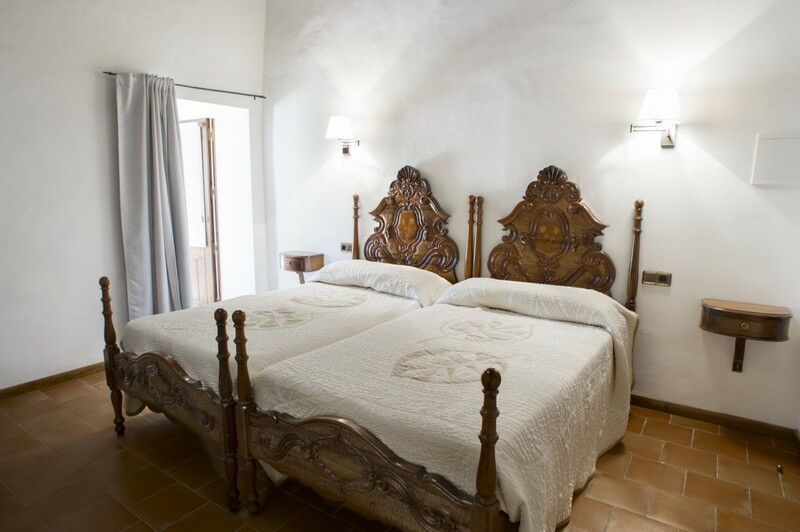 The Vinyes de l'Empordà room has two beds of traditional Catalan style, 105x190cm, with marquetry inlays that reproduce the sun and moon from a window of the farmhouse, and also grapes. Its capacity is for two people.